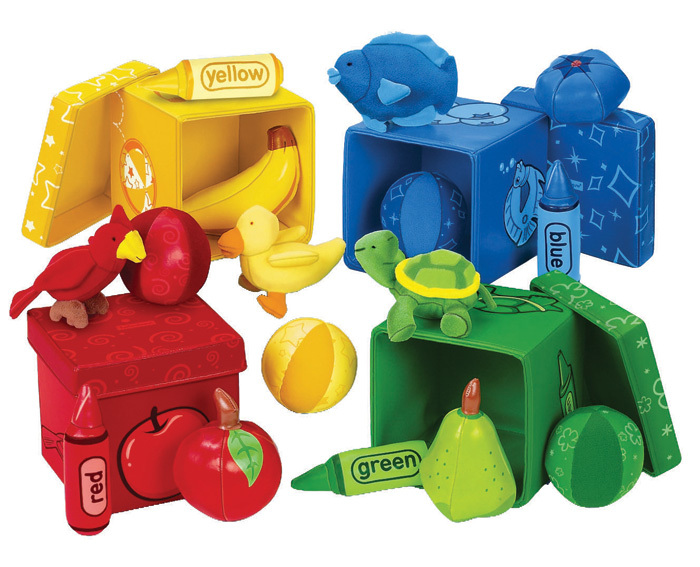  Explore and reinforce colours with these delightful boxes and textured objects.  Each vinyl box has 4 objects inside and the images printed on the outside.  Surface-washable accessories, storage bag with zip.  Please allow approx. 2-3 weeks for delivery.